Elon Musk’s Tesla bypassed the Lone Star State in favor of Nevada to build a Tesla battery plant. The consolation prize now comes in the form of as another Musk-owned company – SpaceX – choosing to host a landing pad for its Falcon 9 rockets returning to Earth just outside Brownsville in south Texas. Taking to Twitter, Musk described the 300 feet by 100 feet landing pad as situated on an “autonomous spaceport drone ship” with “thrusters repurposed from deep sea oil rigs” that can can stay within three meters of position even during a storm, according to Tech Times. 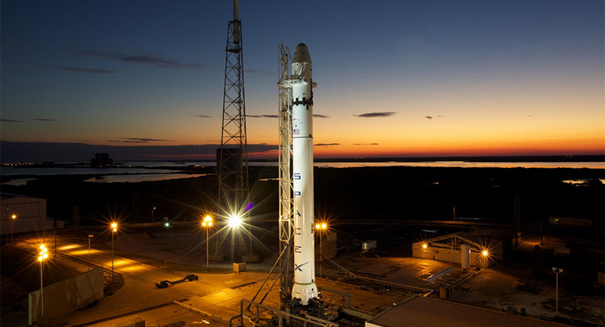 The first try to safely land a Falcon 9 rocket is schedule for December 15 and another in January 2015. The reusable rockets send Dragon cargo spacecraft to the International Space Stations and deploy landing legs that require at least 18 feet of space on a platform to land. The rockets would be refueled on the pad and then taken back to the mainland. Local and state officials combined to offer “millions of dollars in incentives to lure SpaceX to Brownsville,” according to the Texas Tribune, which reports that there’s general belief in the economic benefits from the developing space economy, and SpaceX joins several firms already operating in Texas. XCOR Aerospace is eyeing take-offs from Midland’s airport, Amazon founder Jeff Bezos-owned Blue Origin has a launchpad in West Texas and Firefly recently opened an office in Cedar Park.